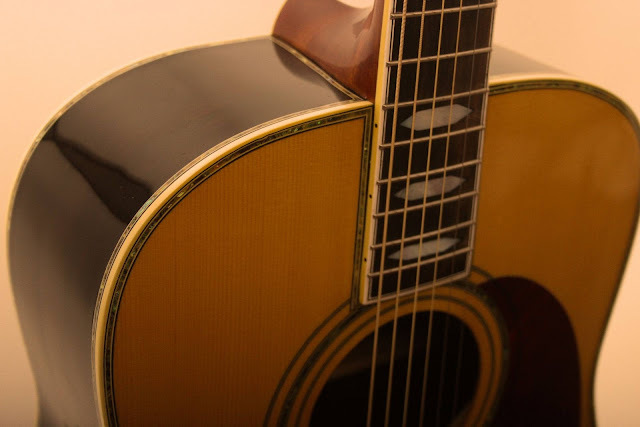 PREPARED GUITAR: Tone Wood: Where to put your prewar Martin D45? Where to put your prewar Martin D45? 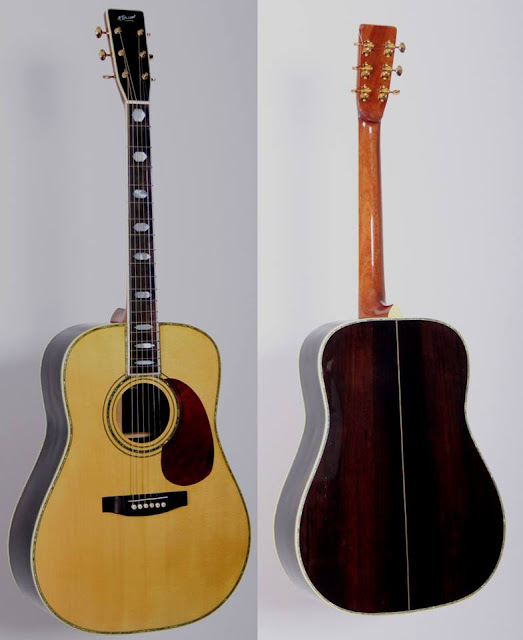 The D45 model from Martin must be considered as the flagship in the range of Martin guitars. The very complex abalone inlay work all around the edge and rims of the body makes this a very time consuming guitar to build. In the period 1933 to 1942 Martin made 92 D45 dreadnoughts known as the prewar D45. It is not clear how many there are left. What is know is that a few have been sold to collectors for prices in the range of 400000 dollar. 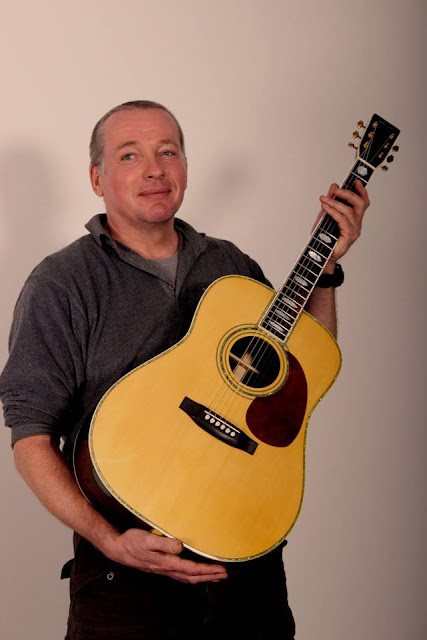 This makes the prewar Martin D45 the most expensive production vintage guitar you can get. For those who don’t have that amount of many available right now the next best is to build one yourself with my guitar building workshop. Pim van der Klauw visited my shop frequently last year working on his D45. This week he took his creation home on put it in his safe.